A large number of bureaucrats, environmentalists, technical experts and community representatives are gathering in Iqaluit this week for a public hearing devoted to a question that ought to be of grave concern to every person who lives on Baffin Island. That question is this: should the exploration and development of natural gas and crude oil be permitted in Baffin Bay and Davis Strait? Do the potential benefits outweigh the risks? It’s supposed to act as a kind of crystal ball, peering into the future in an attempt to predict how oil and gas development could occur in the future off the east coast of Baffin Island, with an assessment of its potential risks and benefits. This has already produced a huge mound of paper, enough to fill a small library, created by the multiple studies, reports and submissions that various players have given the NIRB over the last two years. All are available to the public on the review board’s online registry. After next week, the review board will produce yet another report with recommendations, to be handed to the federal government in the near future. This hearing is an essential exercise. But based on information now available to the public, it’s already clear what Ottawa must do. For the waters off Baffin Bay and Davis Strait, the federal government must extend the existing moratorium on Arctic offshore oil and gas development for at least another five years, if not longer. That’s because the meagre benefits now available to the people of the Qikiqtani region, and to their governments, from oil and gas development do not outweigh its enormous risks. The probability of oil spills and blowouts, events that governments in the eastern Arctic are incapable of responding to right now, is actually quite low. But the damage that such events could inflict on the marine environment could be catastrophic. That said, it’s hard to find any meaningful benefits. Take, for example, the first stage of exploration, seismic testing. 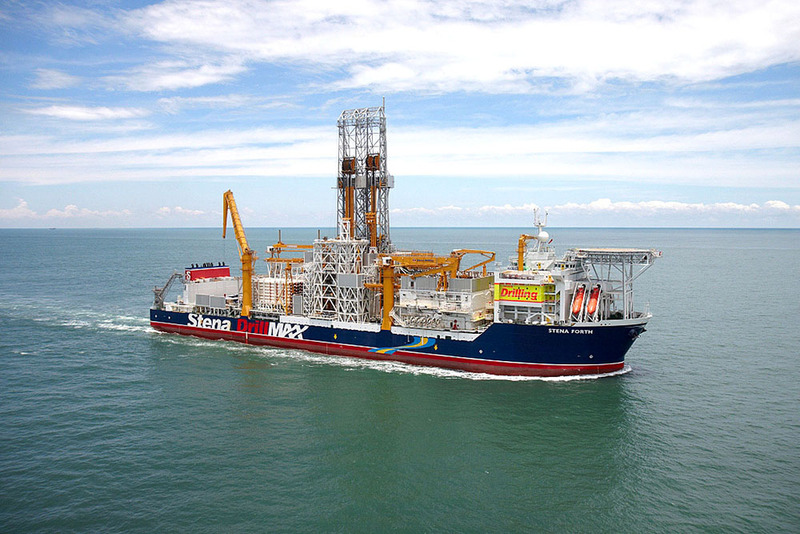 It’s aimed at finding structures worth investigating through exploratory drilling, and likely would involve an investment of between US $7 million and US $18 million. “The contracted vessels typically come fully staffed and very little onshore support would be needed,” says a preliminary report done by the NIRB and the Qikiqtani Inuit Association, using research provided by the Nunami Stantec consulting firm. As for a test drilling program, which would require an investment of US $100 million to US $150 million, the job opportunities for local residents are equally thin: a few “observer” jobs. “Drilling units usually come fully staffed with experienced workers,” the same report says. And because of the current lack of adequate shore-based infrastructure on Baffin Island, drill ship and drill platform operators would likely use facilities at either Nuuk or St. John’s, Nfld. There’s not much there for Nunavut-based businesses. It would likely require 15 to 20 years of this kind of exploratory work—all done in the face of harsh weather and the ever-present risk of fuel spills, undersea blowouts and other accidents—before any actual oil or gas could be produced, not to mention any actual wealth. But assuming, after all that activity, that some company were to prove the existence of a commercially viable undersea oil or gas field, what then? A commercial operation to extract, ship and sell oil or gas on global markets would require an investment of at least $14 billion, require a variety of ships and drilling platforms, along with some onshore infrastructure. Based on existing operations off Norway and Newfoundland, this might actually create some meaningful jobs and training opportunities for Baffin residents. But aside from wages, what other benefits could such an operation generate? Not much. Right now, there’s no legal instrument that would allow the Government of Nunavut to collect royalties from extraction projects of any type, onshore or offshore. That’s because the devolution of responsibility for resource development from the federal government to Nunavut has yet to occur. Indeed, it’s unclear right now how anyone—the territorial government, Inuit organizations or communities—can obtain any meaningful share of the wealth from offshore oil and gas production. On that, the current Liberal government and the Conservative government that preceded it have offered next to nothing. At the same time, the very idea of offshore oil and gas development in the Canadian Arctic, one of the highest-cost environments in the world, may be a hallucinatory mirage anyway. Current global prices for oil and natural gas are too low and they’re likely to stay that way for a while. Here’s what the Canadian Association of Petroleum Producers told the NIRB last August. Given the current market prices for both commodities there is limited interest in pursuing these reserves in the near future unless the commodity prices increase significantly. The current ban on offshore oil and gas development in the Canadian Arctic dates to Dec. 20, 2016, and is to be reviewed in 2021. Prime Minister Justin Trudeau imposed it while standing in front of the White House with U.S. ex-president Barak Obama. It was a poorly executed piece of moral posturing, imposed with little warning and with no attempt to consult with northern governments and Indigenous organizations, many of whom were angered by Trudeau’s gesture, especially in the western Arctic. This time it’s different. The NIRB has conducted two years’ worth of study and consultation. The evidence shows that for the Baffin region, oil and gas development just isn’t worth the risk. Nunavut is more than ready for oil and gas exploration. There’s billions of dollars there to help everyone in Nunavut but we would rather spend our money supporting oppressive governments. 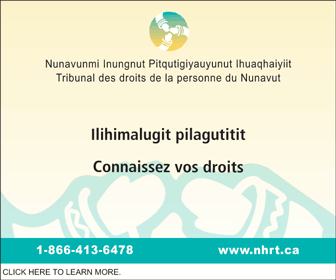 Rough neck is right… as an inuk we are ready to work. Instead of concentrating on who is (becoming) wealthy and what company is making millions or more we should concentrate on how they became financially healthy, by reading, learning and working to provide for their families. Inuit can do it I believe in them. Protect our habitat (land and sea) by placing proper procedures that will protect and create jobs for our people. I have 5 children that will struggle to find jobs just like an average inuk today. Nunavut isn’t ready on anything whatsoever. The industry is not interested yet. The governments will drool over for resource royalties, so big projects will likely be approved right away when petroleum moguls think it’s ready to invest in the arctic. They’re at the starting line waiting for the price of oil to rise. This makes no sense. Has anyone followed oil exploration and investment for the last 5-10 years? I think it’s a pipe dream to think that any company in today’s oil market, will invest the kind of money needed. This is an enormous risk in a very volatile market……. no chance of finding investors for this. Lest we be confused, oil and gas below Nunavut waters does not belong to Inuit, or Nunavut, but rather, all Canadians. Based on this fact let us reconsider these supposed meager benefits. Nunavut receives $2B of funding a year from the Federal government. 11% of the total Canadian economy rests on oil and gas, or around $170B a year. Federal revenues from this industry are in line with its relative importance to our economy. So, $1 out of every $10 Nunavut spends for public services originated from Canadian oil and gas, or perhaps $200M a year. That is around how much Nunavut spends on Housing or Education. In other words, Canadian oil and gas money either educates our kids or keeps (most of) our poor out of the cold. All through the magic of federal transfer payments, much to the chagrin of Alberta separatists. This would remain true for Nunavut oil and gas. 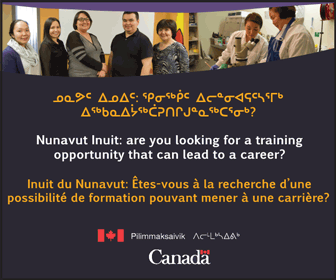 It is not at all necessary for an Inuk, or an Inuit Firm, or an Inuit Org, or Nunavut public government to receive a dime directly from this industry in order for this activity to be good for our territory. How lucky we are to live in such a truly wonderful country where we do not have to rely on training up to be “marine wildlife observers” to benefit from this natural resource. A 20 year moratorium should take us past the fossil fuel age and into the renewable energy age. I believe that there are enough proven reserves to get us through to that point without opening up the Arctic to drilling..
Now if we are still dependent on fossil fuels we are going to have so many other problems that we won’t really have the time or resources to worry about new drilling. Well we might be drilling piles for new buildings a couple of hundred feet higher in elevation due to rising sea levels.